A team always serves best when it has a dedicated manager who performs his/her responsibilities thoroughly and shows utmost zeal towards the work. 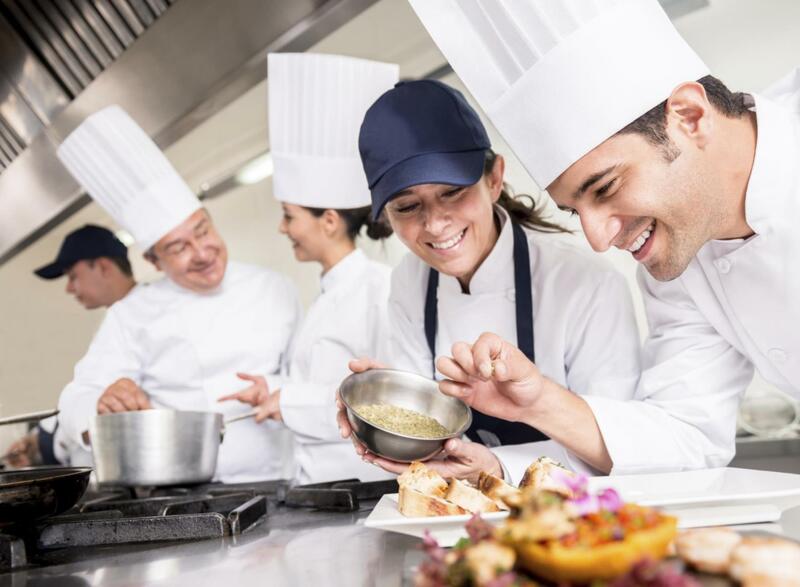 In order to enhance the sales target and maximum customer satisfaction for your restaurant, you must manage your staff and build enthusiastic teams. It’s not the degree or something, which defines a manager, it is the qualities and skills that he applies to his work with a good sense of humour create a manager. To manage the restaurant staff, it is extremely prominent to get the basics of teamwork. The foundation of every successful team is human relationships. The more a group of individuals works together, the more they would be productive. The aggregation of individual accomplishments doesn’t make much change than the effects of teamwork. Here we are defining some restaurant management tips , which are need to be initiated in order to create an innovative working environment to get the best out of the team members and a chaotic free handling of the work. The preparation of a well-organized team is the first and the foremost priority of every business, and especially when it comes to working in a restaurant, the task must be accomplished at the scratch. Teamwork enables to bifurcate the tasks in an appropriate way and it enhances the productivity. The efforts of an individual don’t make any sense and resultantly, you will get nothing but a tag of disappointment. However, sometimes it becomes quite cumbersome to resolve issues between the teammates when there’s miss-communication or due to personal affairs. An ideal manager is the one who perceives the scenario from each and every angle and makes strategies accordingly. He/she knows how to make people work with whom. How to motivate them to yield best results? How to deal with a wide range of customers and much more. Sometimes, pre-planned things need to be altered for the sake of business and demands of the working tasks. From the blue-collar workers to the owners, everyone in the premises should be treated with equal respect and honour. If you treat a dishwasher same as you treat your clients, he gets more jovial and will serve with great pleasure. Trust me on this factor, it is accountable and is important. Do make the staff members realize that the manager has no issues in cleaning a bathroom in order to make a positive impact on his clients and they should not either. It is not always the responsibility of workers to clean the table, if you come across and sees a dirty table, take a rough cloth and start wiping it. Appreciating any member after perceiving his/her serious efforts towards the work will raise your goodwill and make a positive impact on them. Always try boosting up the team members even if you see a petite positive change in the restaurant business. Moreover, you can reward them for their hard-work and dedication. This portrays a good management on the part of a manager, besides the team feels highly gratified for the favourable outcome. It is very important to use the clauses “we” and “me” in different situations. The moment you are sharing success with your team members, do make sure that you are referring each and every person and use ‘we’ to enhance the joy. When it comes to bearing the failure, the manager should take it on his own. Amidst two months, plan some vibrant dinner and cocktail parties for the employees so they can boost up and add more efforts to the work from thereon. It is very common that people get usually stressed at the workplace because of the heavy burden of workload. These kinds of light refreshments will energize them. Let the restaurant employees work with maximum freedom and can put their opinion freely in front of the manager and other teammates. The undemanding rules and principles will encourage them to work compassionately. This is very important for your kitchen team.